The garden centre chain said it enjoyed six consecutive months of year-on-year sales growth of more than 11% this financial year, after a fall in sales and profits in the year after it was sold by supermarket giant Tesco. Dobbies recorded a 1.5% slide in sales to £148.3million for the 12 months ended February 25, 2018 but the business said recent trading has benefitted significantly from a strategic review and the appointment of a new leadership team in January. The latest filed accounts for Dobbies Garden Centres Group Limited (DGCG) and its subsidiaries cover the period since the company’s acquisition in June 2016 by an investor group led by private equity firms Midlothian Capital Partners and Hattington Capital. During this time pre-tax profit fell by £3.1million to £5.1million, which Dobbies attributed to one-off items in the prior year. However, range changes implemented during the second half of the year also resulted in lower footfall and conversion; particularly during the Christmas trading period. A management shake-up in July saw former Wyevale boss Nicholas Marshall ousted from his role as CEO at the Midlothian-based chain and resulted in a new team at the helm, lead by Graeme Jenkins, who joined the firm as CFO when Midlothian Capital Partners and Hattington Capital took over. The head office reshuffle saw a number of departures, including other directors who joined the group with Mr Marshall in 2017. 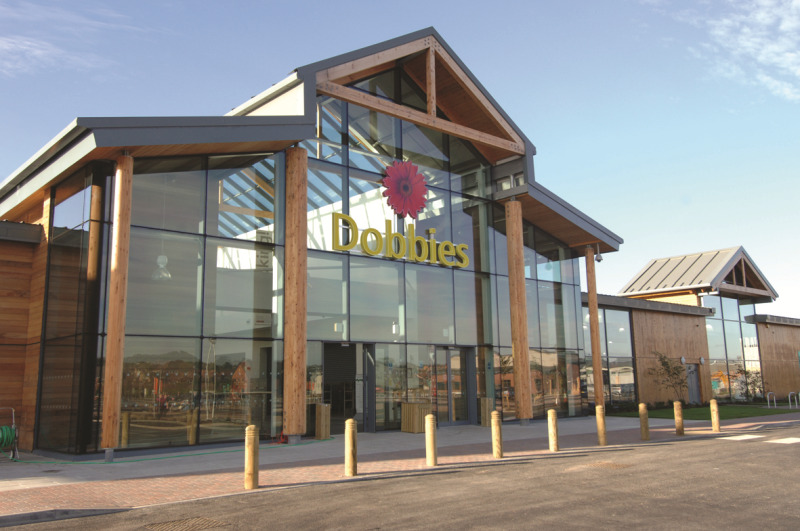 The figures for the latest financial year-to-date suggest the review has had a positive impact on trading and Dobbies looks set to grow its estate further, having acquired six Wyevale centres in October, including Woodcote Green Garden Centre in Surrey. The sites are reportedly already trading in line with expectations. CEO Graeme Jenkins said: “Dobbies has delivered a strong trading performance so far this year. This gives us a solid foundation for growing the business, organically and through further acquisitions. DGCG was incorporated on June 14, 2016 following the acquisition of Dobbies Garden Centres Limited and,therefore, has a shorter accounting period for the prior corresponding financial year. For the purposes of the figures released, the Annual Report and Financial Statements of Dobbies Garden Centres Limited have therefore been used, which have comparable 12 month accounting periods.